The Dutch have a rich tradition in creating polders, nowadays approximately 50% of the country consists of polder land. But the difficult and challenging task of land reclamation would never have been possible without a strong sense of solidarity and an urge for cooperation. That is the explanation most often heard for the historical origin of the consensus model in Dutch politics. This attitude got a new meaning in the eighties and nineties of the last century with the introduction of the ‘poldermodel’ in the relationship between employers, unions and government. Negotiations would have a better success rate if the parties seek a win-win situation instead of highlighting the contradictions. Since that time the verb “polderen” has been used for various forms of cooperation that aim to achieve compromise and consensus. But what is their connection? The political landscape has changed dramatically since the beginning of the 21st century, polarization was socially acceptable again, with major implications for the relationship between politics and society. Have we forgotten how to ‘polder’ since the last reclamation (in 1968)? One could possibly speak of the ‘ontpoldering’ of politics. 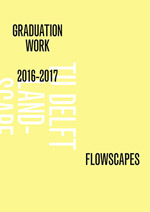 In 2005, the Chair of Landscape Architecture started a study on the spatial characteristics of the Dutch polder landscape for the 2nd International Architecture Biennial Rotterdam. 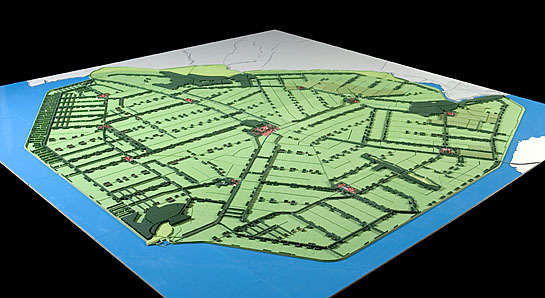 By “naming the special characteristics and the reduction to a compositional model “(1) we could make ‘polder modellen’, scale models of 14 polders that showed the structure and components that the polder is made of. The exhibition resulted, after another 5 years of work, in ‘The Polder Atlas of the Netherlands’ (2) a massive design atlas for the polder landscape, which in turn was the start of several consecutive research projects. With the debate around the Hertogin Hedwigepolder the series of polder studies by the Chair of Landscape Architecture gets a present-day significance. 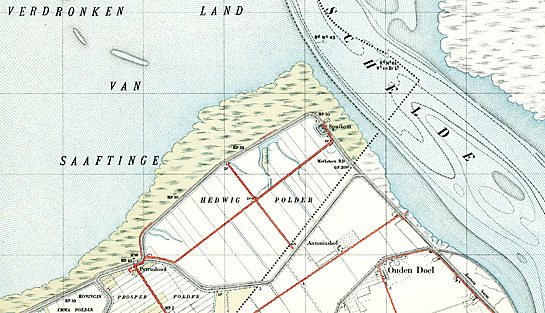 The Hertogin Hedwigepolder is a relatively young (1907) and small (306 ha) agricultural polder at the border between Belgium and the Netherlands that has been proposed to be ‘ontpolderd’ (de-embanked) as compensation for the loss of natural values due to the dredging of the seaway in the Westerschelde. Belgium and the Netherlands signed several agreements on the accessibility of the port of Antwerp (3). To make things more complex, the Westerschelde is also a designated Natura 2000 area since 2009, with strict requirements for the maintenance of natural habitats. The dikes would be removed, and the polder would become a saline marsh. The proposal was met with a stubborn ‘no, we will not give up agricultural land’ by the local population, although there are very little alternative options (see for example the website ‘Red onze polders‘). The last compromise is a combination of cutting bits and pieces of several polders along the Westerschelde and improving natural values of mudflats. Presently we have come to realize that the way we have engineered the delta is not sustainable indefinitely. Among others, climate change, development of cities and industry and nature, all demand a part of the scarce space. In many areas there are problems to be resolved with water quality and quantity. To accommodate these changes, knowledge of the existing polder landscape and the development of adaptation models is crucial. We can do better than just removing dikes, by a more careful transformation a beautiful new landscape could be created. To achieve this, connections between spatial and political issues should become apparent again. We are happy to be part of this process by developing both “polder-” and “ontpoldermodellen” and develop design tools as medium for negotiations. Perhaps even politicians can learn from us.